TNPSC Group 1 result 2019: The TNPSC Group 1 result 2019 has been released on the official website, tnpsc.gov.in. 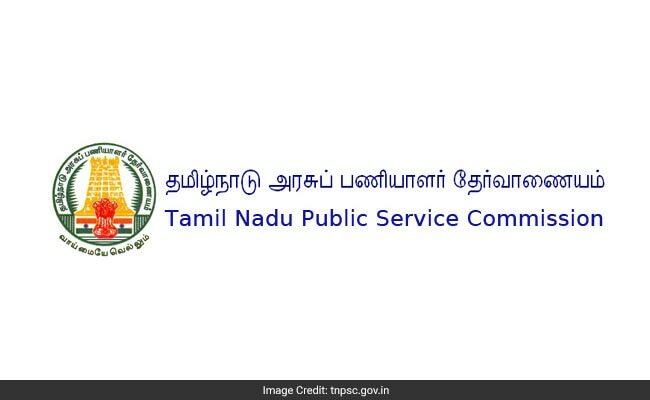 TNPSC Group 1 result: Tamil Nadu Public Service Commission or TNPSC has released the TNPSC Group 1 result on the official website. The TNPSC Group 1 result 2019 has been released on the official website, tnpsc.gov.in. According to a results notification released by TNPSC, the main written examination will be held on July 12, 13 and 14, 2019. The TNPSC results has been announced on the ratio of 1:50 based on the results of the preliminary examination conducted by the Commission on March 3, 2019. Click on the link given above and check for your registration number on the page open next. "The candidates whose Register Numbers are mentioned below have been provisionally admitted to the Main Written Examination for appointment by direct recruitment to the Posts included in Combined Civil Services - I Examination (Group - I Services), 2016 - 2019, in the ratio of 1:50 based on the results of the Preliminary Examination conducted by the Commission on 03.03.2019 FN," said the TNPSC Group 1 result statement. The candidates who have been admitted provisionally to the Main Written Examination have to pay ₹ 200/- (Rupees Two Hundred only) towards the examination fee (unless exemption of fee is claimed) and should upload the scanned copy of documents in support of the claims made in their online application from April 10, 2019 to 20, 2019 in the e-seva centres run by TACTV. List of designated e-seva centres is available in the website. The details regarding the documents to be uploaded will be made available in the Commission's website and candidates will be informed of the above fact only through SMS and e-mail. "Failure to upload even any one of the essential documents will entail summarily rejection of their online application. Similarly, any false claim made by the candidates will be viewed seriously and penal action will be initiated by the Commission against them besides rejection of their online application," said the TNPSC Group 1 result statement.